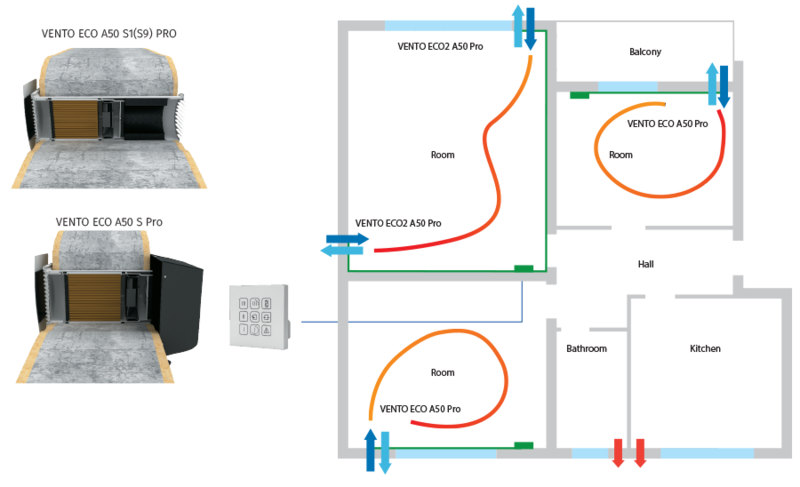 Single-room heat recovery units. Maximum air capacity up to 50 m³/h. Arrangement of efficient energy-saving supply and exhaust single-room ventilation in flats, houses, cottages, social and commercial premises.Air purification with optional F8 filter PM2.5 99 %. 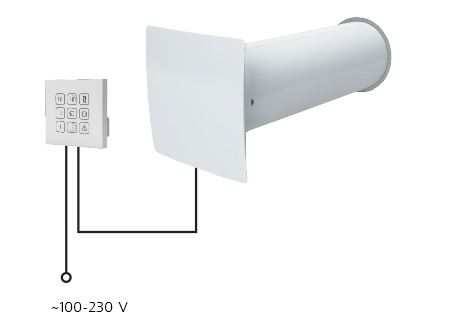 Protection from outdoor noise.Reducing heat losses caused by ventilation due to heat recovery.Humidity balance and regulated air exchange create individually controlled microclimate. Control of the unit operation mode is performed by means of the sensor control panel. 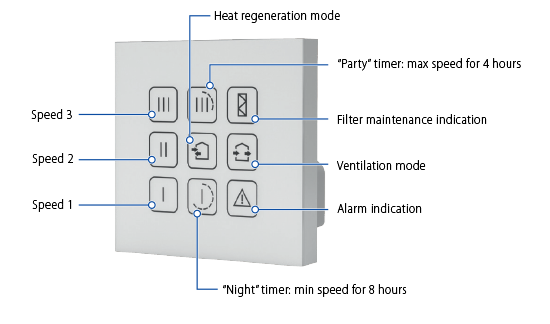 One control panel with sensor buttons can control up to two units. Low voltage (12V) power supply between control panel and VENTO Eco units. 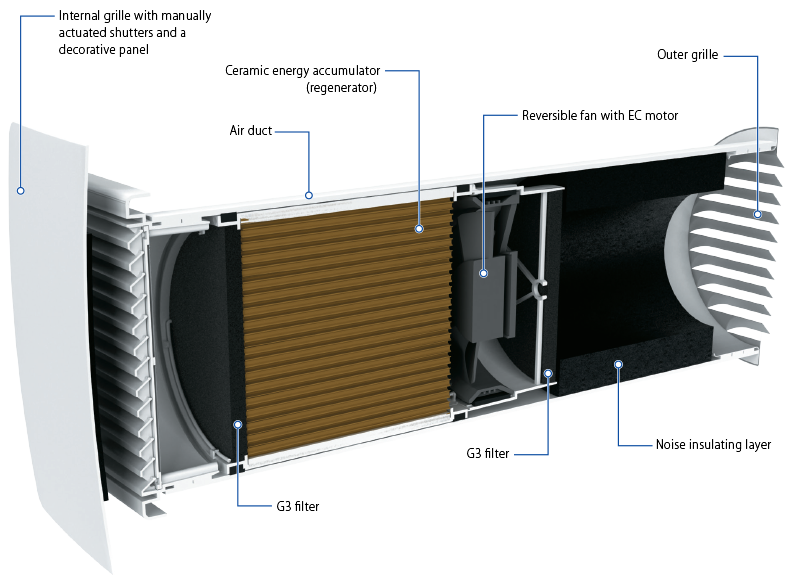 The unit is designed for through-the-wall installation inside a prepared hole in an outer wall of the building. One unit can ventilate a room up to 25 m2. For bigger rooms two or more units must be installed.